At the 2017 Yorkshire & Humber CECA Awards ceremony, held on 31st March at the Majestic Hotel in Harrogate, Yorkshire Water, contract partners and consultants ended the night with the 2016 Contract of the Year award. Yorkshire Waters Bransholme Storm Water Pumping Station (SWPS), project won the award. The Bransholme SWPS was delivered as part of Yorkshire Waters’ AMP Framework. The solution lifts storm water to the tidal River Hull and in the event of high river flows or tides, storm water is attenuated using the 111,000m3 lagoon. The Bransholme SWPS protects communities in the Kingston and Bransholme areas of Hull from flooding. This was achieved by creating a new 22.9cumec’s storm water pumping station. The project was designed and built by Black & Veatch, in collaboration with Arup, Architects AEW and GHD for Yorkshire Water Services. 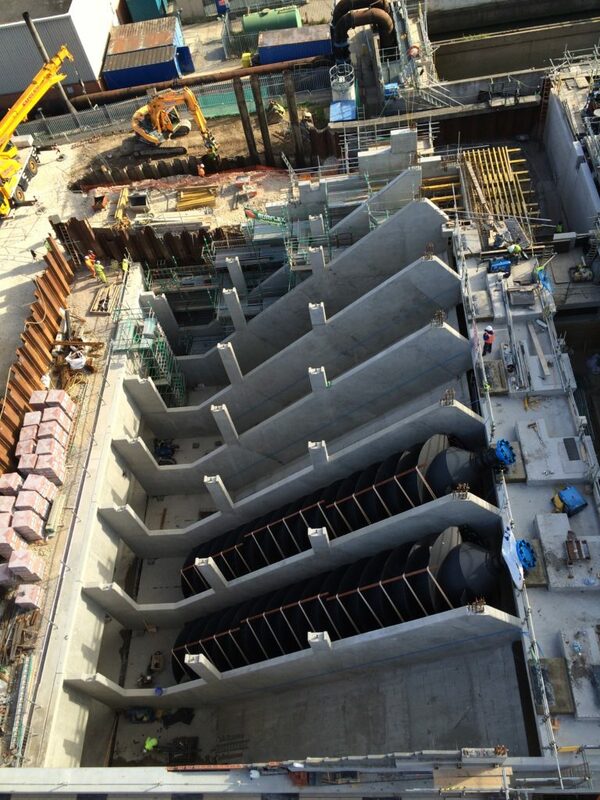 Eight Spaans Babcock Archimedean screw pumps, among the largest in Europe, deliver water from the storm sewer network to the River Hull and site’s storage lagoon. The project was delivered within a constrained working areas and construction within the existing lagoon. Level 2 BIM principles were used including 3D modelling, which enabled efficient reinforcement design and an innovative structural cantilever approach. BREEAM best practice were also adopted with key elements being the living roof and solar PV providing an improved sustainable visual impact to local residents. Turner & Townsend was the NEC PM for the project and provided commercial management. The award signifies a harmonious 15 year working relationship with Yorkshire Water and Turner & Townsend, having appointed us as their sole consultant partner through AMP4, AMP5 and AMP6.